The Fix is the most explosive story of sports corruption in a generation. It presents compelling evidence that some of the highest soccer matches in the world may have been fixed: European Champions League, Olympic and World Cup tournaments. 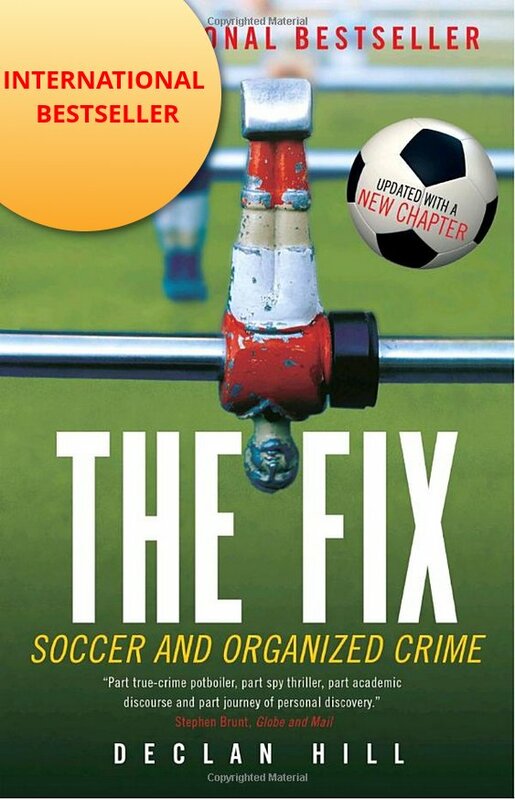 Intriguing, riveting, and compelling, The Fix is the story of investigative journalist, Declan Hill, who went inside a group of match-fixers who travel the world corrupting games. In The Fix, Hill reveals for the first time their methods and motives. Hill exposes the deep, corrupt secret at the heart of international football. Since its publication, The Fix has won numerous international awards and has helped spark over thirty national police investigations. Hill has testified about his finding before the International Olympic Committee, the Council of Europe and numerous national sports agencies. The Fix will change your view of sports forever. "The Fix is astonishing, appalling and--given that football is the world's game--nothing less than earth-shaking. A magnificent example of investigative reporting at its best and--to the reader's delight--written with elegance and verve. Declan Hill has announced himself on the world stage with nothing less than a total triumph. No one who reads this will ever watch a match the same way." Described as ‘Freakonomics meets Football Corruption’. This is an academic book for non-academics. 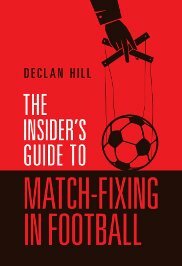 ‘The Insider’s Guide to Match-Fixing in Football’ is an analysis of the motivations, the mechanisms and the methods within this modern form of fixing. How do fixers corrupt matches? Why do players agree to be corrupt? How do players fix matches? Is violence used against referees and players to force them to fix? How is fixing different from cheating? Why do some rich, strong teams bother to bribe poor, weak teams? Why are some games fixed, but not others? Why do some leagues have more match corruption than others? How can a sports official prevent match-fixing? The overarching thesis of the book is that most match-fixing is preventable. Fixing comes from key specific factors. Remove those factors and we can win the war against match-fixing. Read it and be prepared to shocked about the true extent of fixing in football, but also be prepared to learn how we can fight against the fixing and protect the sport we love.